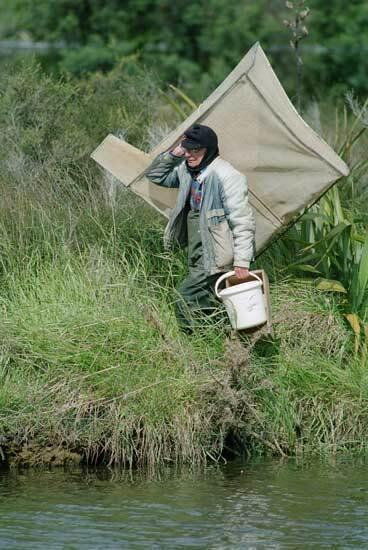 Whitebaiter Len Newland of Porirua leaves the Pāuatahanui Stream, near Wellington, empty-handed. In the spring of 1999 he had caught only six whitebait, which he released. Whitebait runs have declined in most parts of New Zealand.